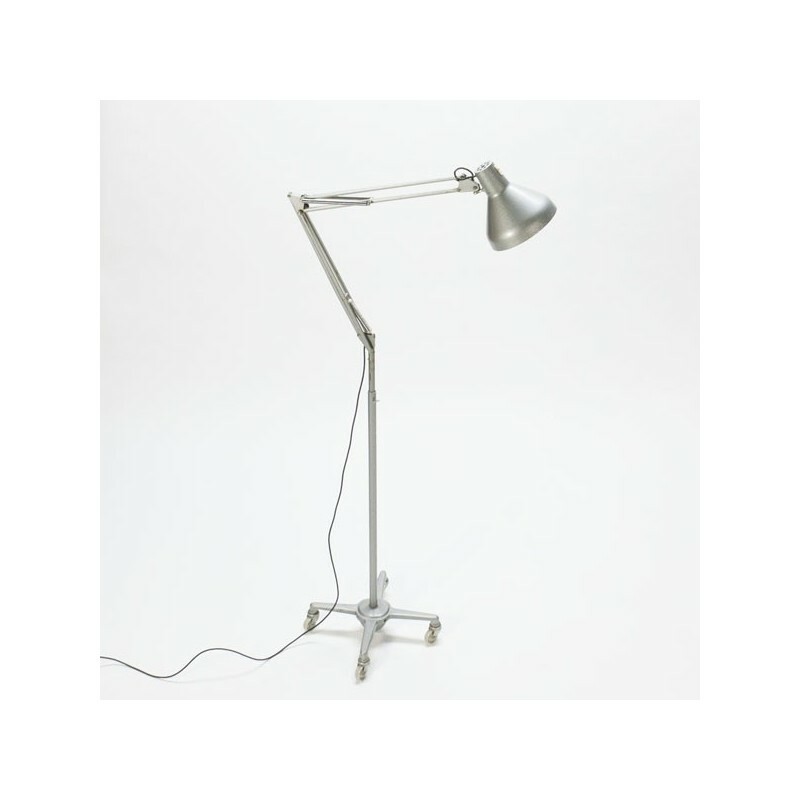 Vintage floor lamp in industrial style. 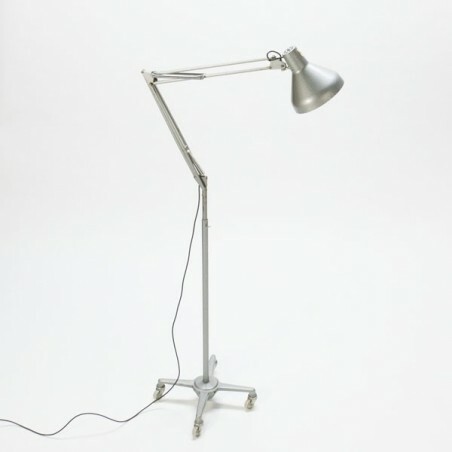 The lamp is gray in color and is standing on wheels. The lamp is adjustable in height from 150 cm up to 225 cm. The condition is good, there is a very small dent in the lampshade, see also the detail photos. The diameter of the lampshade is 20 cm.